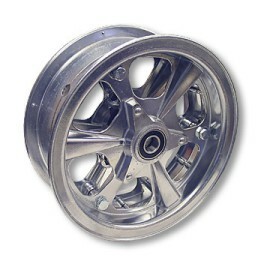 Great Front Wheel for Mini Bikes. 3" wide with hardware. 5/8" Bearings installed. Use 480x8, 400x8, 14x3.00x8 or 4.10x3.50x8 Tires.